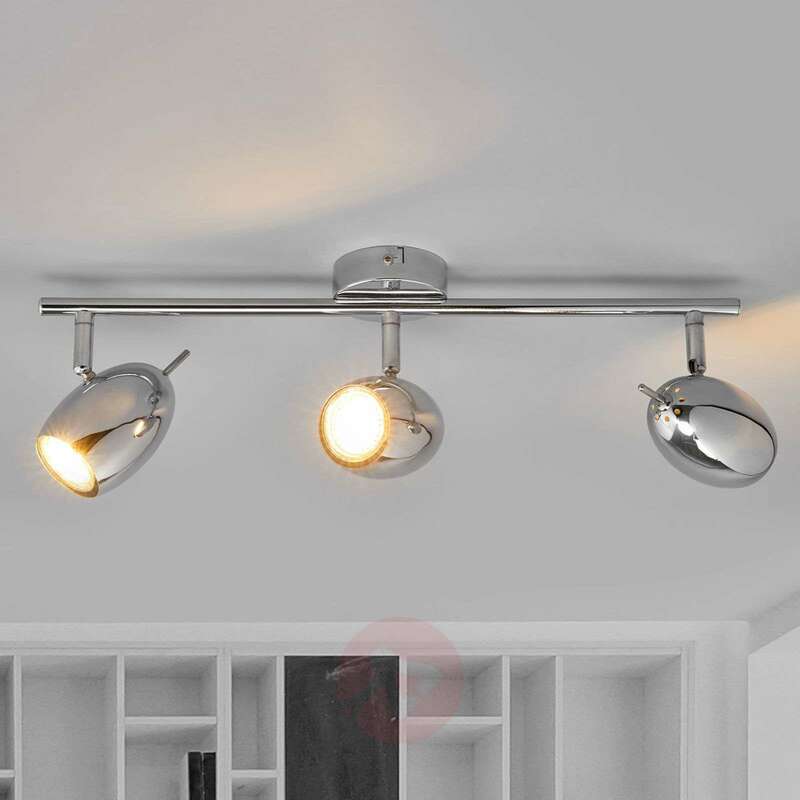 The three-bulb version provides a very versatile version of the modern-looking Philippa LED ceiling lamp. The fact that the individual lampshades can be adjusted as required is a real advantage when it comes to both positioning and usage. 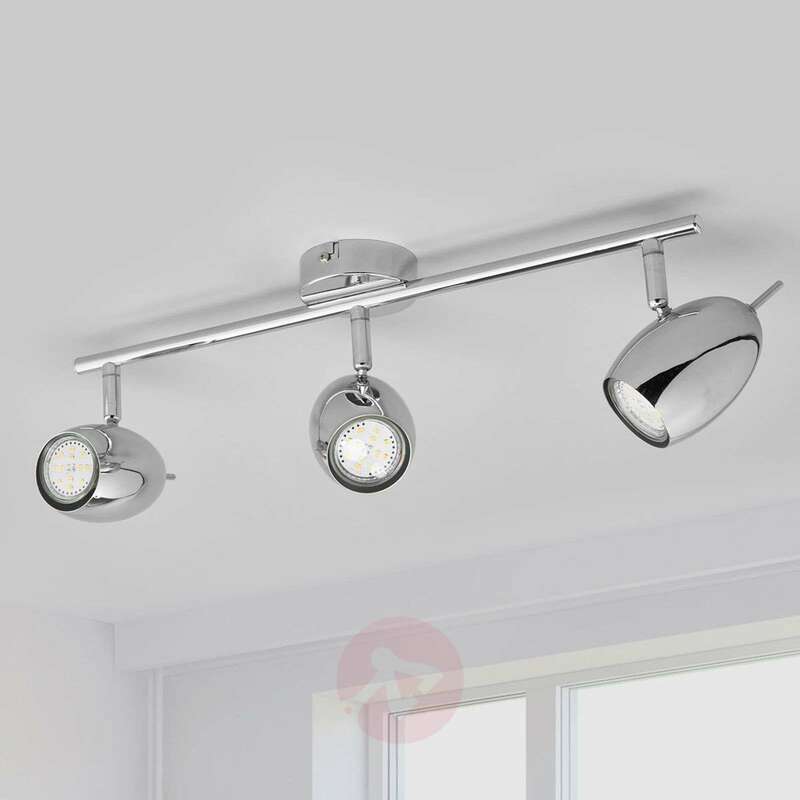 They can be both rotated and pivoted so you can create the optimum lighting. 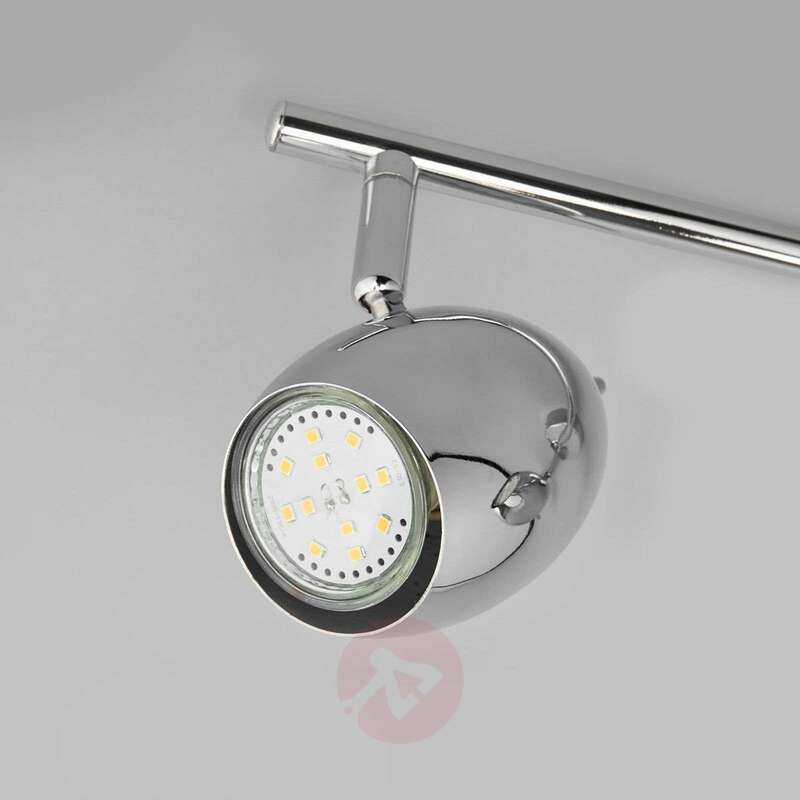 The entire LED ceiling lamp is made from metal and features a glossy chrome-plated finish. 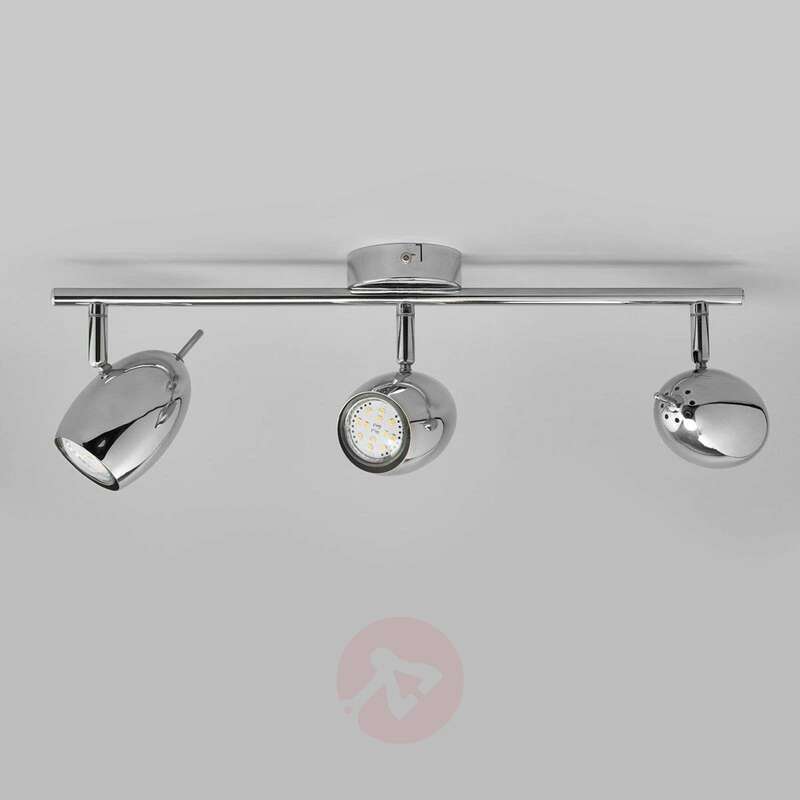 The LED bulbs are included and make Philippa a ceiling lamp with low energy requirements. Please can I check if they can be dimmed? The lamp comes with bulbs that cannot be dimmed. 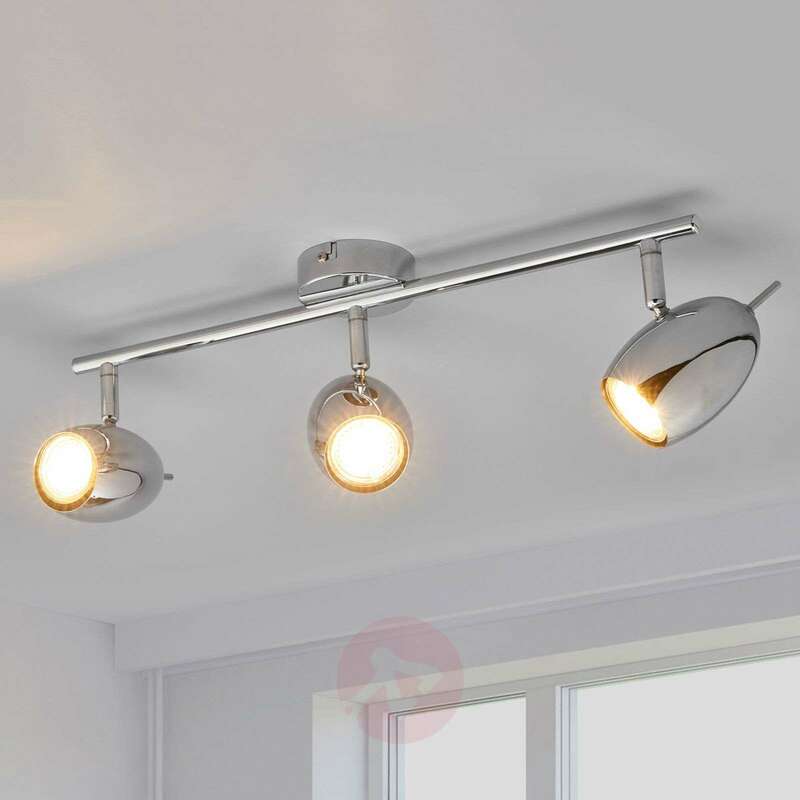 However, you may turn the unit into a dimmable one by using GU10 bulbs that are dimmable. You may use bulbs that consume 5 W or less of energy. 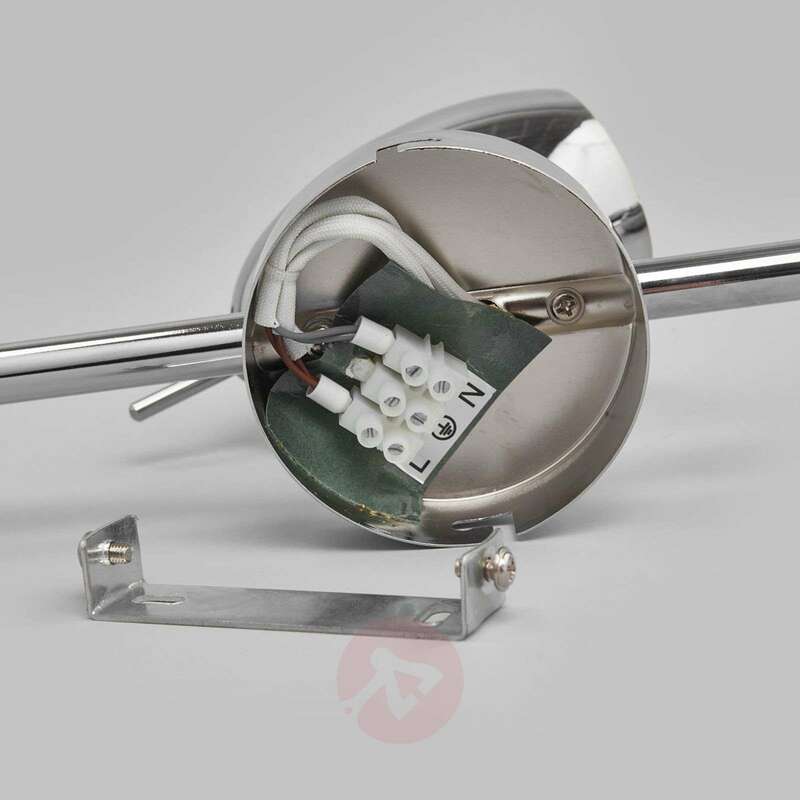 Keep in mind that easydim bulbs are not compatible for use with dimmer switches.